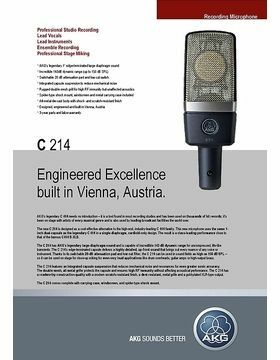 Great Mic for its Price! 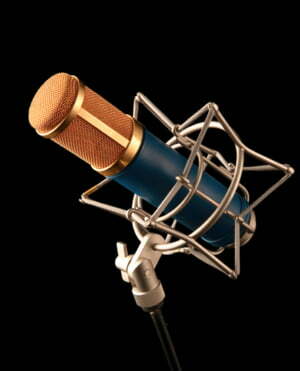 I use this mic in my studio to track vocals and electric guitar amp mostly. 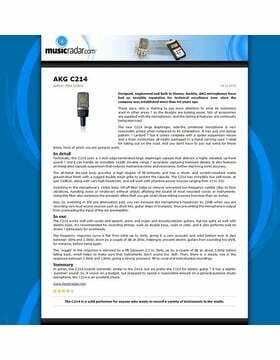 AKG C214 is very similar to C414; at the first look the difference is polar pattern selector. C214 does not have this feature. You can only use Cardiod pattern. But, it's not a big deal if you're using it in a small studio or your home studio works. Cause if you don't have a very well acoustically designed room, Cardiod should be enough. 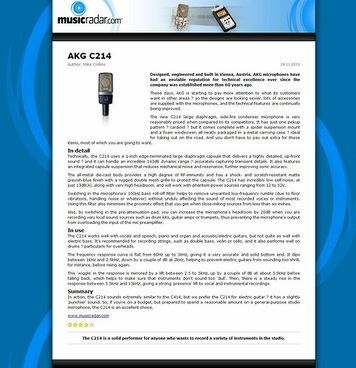 Another difference from C414 is that C214 has about 1 db more mid range response. That makes it more usable for electric guitar amp recordings. 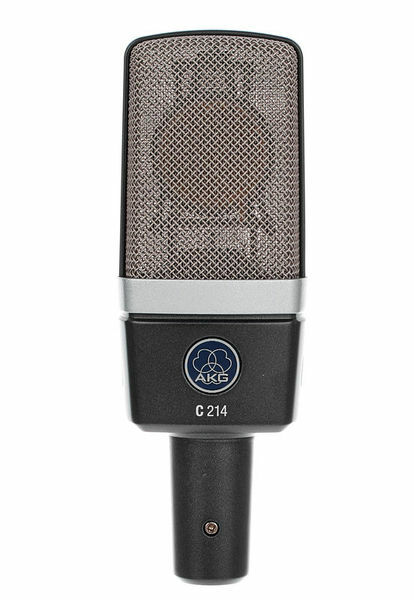 I've been recorded vocals with lots of different mics, this C214 does very good job with vocals. Really satisfying. 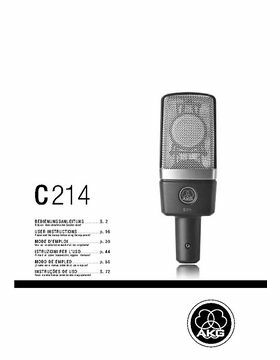 If you want to buy C414 but it's too expensive for you, get this C214 for a lower price. The performance is almost the same! 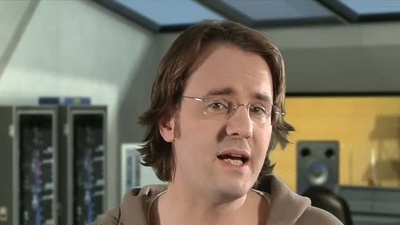 There is one point that i don't like about this mic is the high-ends. They should be controlled very well prior to recordings. This mic may get too bright, of course it depends what you record, but keep that in mind. 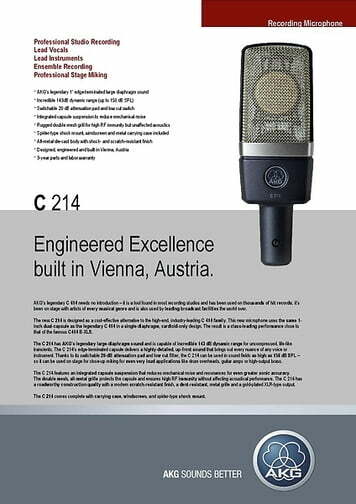 To sum up, i love C214 and there is no need to pay lots of more money for little technical differences! It has a smart case, a windscreen, and a shockmount comes with. I personally didn't like the shockmount because it is made of plastic. But beside of it many can like it because it makes the total weight lighter. It has a pad 0 dB, -20 dB and it has HPF switch. These are good features for a 400? mic. This is really a professional sounding microphone. Here is my recording chain: AKG c214---->True Systems P-Solo---->TC C300 gate/comp---->Creamware Scope---->Cubase.  Audio Technica AT4050---->GreatRiver ME1NV---->ProTools. The same singer sang. And both were listened with an AKG K240MK-II headphone and Genelec 8030a speakers. 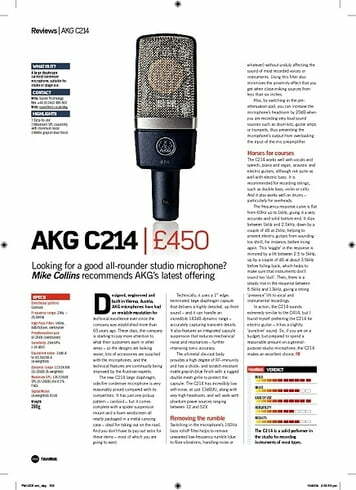 The result is C214 has a more detailed sound, much higher ends ( but nice ) and very air than of the AT4050 has. 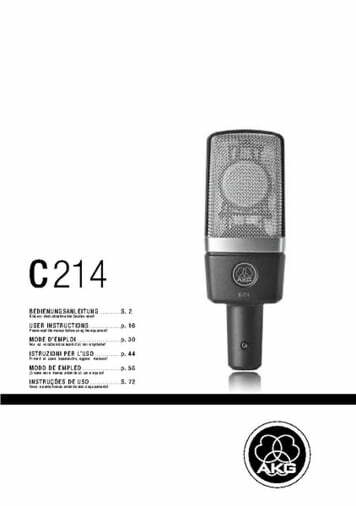 My friends also liked C214's sound. It has a very nice proximity effect also. If you have 500$ to pay for a good mic put this one into the higher places in terms of your choices. It will worth for every penny.